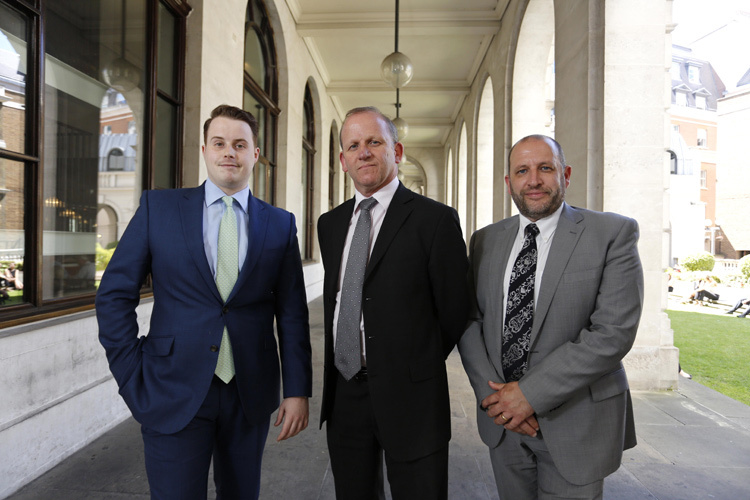 Lloyds Bank Commercial Banking has appointed two new Liquidity Specialists to its London Business Development team to support the growth of small and medium-sized businesses in the region. Rick Pacitto and Nick Tucker will work alongside business development director Steve Burn. They will be responsible for providing strategic guidance and bespoke solutions to help businesses with turnovers up to £25million maximise their cash positions and capitalise on growth opportunities in both domestic and international markets. Nick brings a wealth of relationship and transactional experience to the position. He began his career working for a Canadian FX brokerage and then joined one of the fastest growing fintech companies in Europe working in a variety of roles and latterly as a partner in the company. Rick has over 25 years’ banking experience in a variety of sales and relationship roles at Barclays and RBS. He has specialised in liquidity and cash management solutions for corporate businesses and financial institutions, giving him a wide breadth of knowledge in the sector. Steve is responsible for business development across a range of sectors with a broader focus on lending and the full suite of products and services. His 30 years of experience in a variety of roles ensures he can tailor the bank’s offering to best suit both new and existing clients. Hannah-Louise Smith, Head of Liquidity Solutions at Lloyds Bank Commercial Banking, said: “SME businesses play an instrumental role in the continued resurgence of the UK economy, and with rising business confidence, now is the time many companies are looking to accelerate their growth strategies whilst managing risk appropriately.